Nimes got their spark back with a 4-0 win at Dijon last weekend and will be confident of picking up at least one point against underperforming Nice. It was Nimes’ first victory in 10 matches and sets them up nicely for this encounter at Stade des Costieres. Nimes’ solid home form is another reason to support the hosts: the Crocodiles are W1-D3-L1 in front of their own fans, their only home defeat coming at the hands of champions PSG (2-4). If they play with the pace, energy and variety they did at Dijon last weekend they’ll be difficult to stop. Nice were lucky to beat Amiens (1-0) last weekend and poor in the second-half of their 3-2 League Cup win over Ligue 2 Auxerre three days earlier. Under Patrick Vieira they’ve been unable to find any kind of form, failing to be unequivocally the better team in all but one or two of their 12 matches Ligue 1 matches this season. Nimes will attract attention at [2.6] but their high home draw rate needs taking into account. Nimes Draw No Bet or Nimes on the Asian Handicap are better options. Rennes are clear favourites to win this north-west derby but the hosts are overrated when you look at the stats. Rennes have won just four of 12 Ligue 1 matches and only two of five home games this season. On the basis of these figures alone it’s impossible to justify their odds of [2.1] to win. Nantes arrive in their best form of the season: rejuvenated under new manager Vahid Halilhodzic, they’ve won their last three league matches, scoring 11 times in the process. In Emiliano Sala Nantes have Ligue 1’s second-highest scorer: he’s netted 10 times in 11 appearances at a rate of a goal every 75 minutes. Nantes should also be fresher, as Rennes had a 4,700km round trip for their Europa League fixture at Dynamo Kiev (3-1 defeat) on Thursday night. Laying the hosts or backing Nantes with an Asian Handicap start are the selections to consider. Two seasons ago Monaco beat PSG to the Ligue 1 title but the gulf in quality between the sides is now so big PSG ought to stroll to victory in front of the television cameras at Stade Louis II on Sunday night. Monaco have fallen to second-bottom of the league table while PSG have won 12 out of 12 Ligue 1 matches since the start of the season. 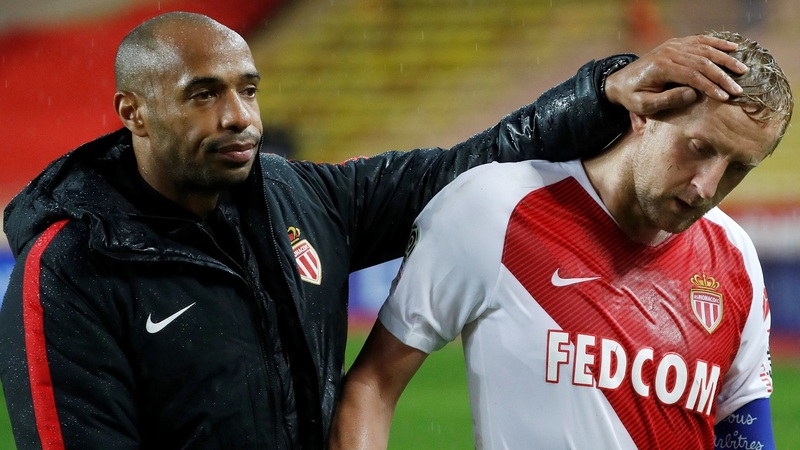 Monaco’s change of manager hasn’t had the desired effect, either, with the Principality outfit yet to win in five games since Thierry Henry took charge last month. Monaco slumped to their worst-ever European defeat at home to Club Bruges (0-4) in the Champions League on Tuesday night so the visit of the Ligue 1 leaders is the last thing they need. To make matters worse, as many as 12 Monaco players could be absent through injury or suspension this weekend, including five members of their ideal starting line-up. It all suggests PSG should collect three points with the minimum of fuss, making it 13 straight victories in the league for Thomas Tuchel’s side. PSG have virtually a full squad to pick from and are expected to name a strong line-up. Neymar and Monaco’s former favourite son Kylian Mbappe should start in attack and will be keen to add to their combined total of 20 goals and eight assists this season. With PSG as short as [1.25] to win the question is how to make the Ligue 1 champions pay. The visitors are -2 Asian Handicap at [2.00], meaning you need PSG to win by three more goals to earn a profit on this market. PSG-PSG Half Time/Full Time will attract bettors although this, too, is odds-on ([1.70]). Instead we prefer ‘Yes’ in the PSG to Win Both Halves market. With this selection you need to treat each half of football separately, and for PSG to win both. They’ve done so in seven of their 12 Ligue 1 games to date, making the odds-against price on them doing so this weekend appealing.